Isn't that so true? 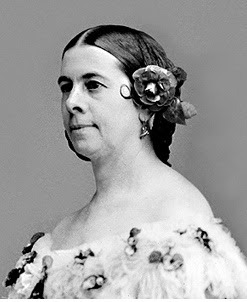 Honestly, most people wouldn't consider hairstyles of the Civil War era the most flattering of all ages. But, if done correctly they can look half decent...maybe even really good if you have an eye for the period. 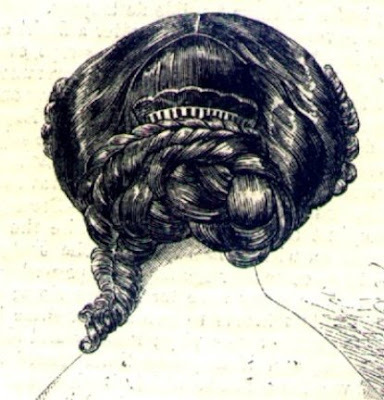 I love these sumptuous 1860s images of hairstyles. How often do we see reenactors able to replicate these styles accurately? Not very often. It would seem that using false hair is sometimes the key, especially with today's modern short hairstyles. I remember when I was about 16 and attending one of my first balls in Gettysburg. I had just purchased a beautiful curls made of real hair. We styled my hair for the ball with the curls fastened in. I was asked to waltz with a handsome 30-something gentleman and right in the midst of the waltz my curls fell off! He picked them up and put them in his pocket. At least he didn't laugh at me! I do believe these things must have happened during the Civil War era as well! The next time I wore the curls I had them much more securely fastened in! I grew up doing Civil War reenactments, but we always demonstrated the hard-working frontier style clothes, and I never had the right gear to do a ball justice. I’ve been out of the reenacting for a while, but I’m talking two young friends to a local reenactment and ball next week and I’ve been scouring the Internet trying to get some refreshers on authentic hairstyles. 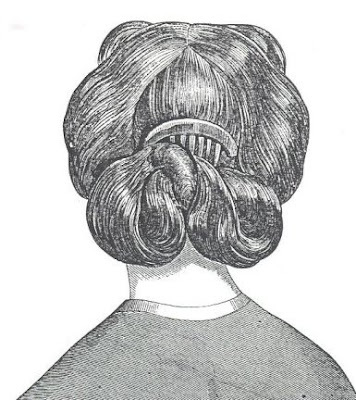 I am SO sick of all of the websites that say “slicked down, parted in the middle, bun in back.” THANK YOU for providing some great illustrations of other alternatives!! Hope you have a lovely time at the reenactment! As a costumer and fervent civil war reenactor I contend that what we see in photos and in the lady's magazines of the time are tantemount to looking at vogue. How does our everyday dress, even for Sundays, compare to what is in the fashion magazines? Everyday wear was more common sense and practicle. Short hair existed. I have a book about victorian era jewelry with a drawing of Florence Nightingale by a soldier and guess what, she has short hair parted down the middle covered with a cap. Thank you all very much for the information here! Today is my first Civil War Re-enactment -- during the day I'll just be wandering around playing tourist and then in the evening I'm going to my first Civil War Ball. I'm up against some big competition to look good so no way do I want to do a boring old bun! I just became interested in wearing a costume and appropriate hairstyle for this era. Searching "Civil War hair images" brings up a lot of your images, so thank you, thank you, thank you for putting much of it in one place! You have a great profile, but count me among those who don't. Having a sharp jawline entitles one to wear hairstyles I dare do not! Have you seen ANY styles that would let me cover up my "fluffy" neck-chin-jawline area, even just a little? I am new to civil war re=enactment. I do timeline which cover civil war to the old west. My problem is I have bangs I have tried slicking them down and pinning them back. Were there any style with bangs? Unfortunately they did not have bangs in the Civil War era, but you should be able catch them into a roll if you start it right at the front of your hair: http://blog.historicalfashions.com/2009/11/civil-war-evening-hairstyles_30.html. Like this hairstyle but you could put the back hair up for daytime or in sausage curls like in this picture for evening. Rolling the hair like this on the sides has helped me with bangs in the past. Good luck! wow!! they look really pretty. Actually if you go to the library of Congress website they have numerous photos of women with all different hairstyles such as a woman with a side part, women with short hair and lo and behold women with bangs! Granted, the women with bangs had them curled or slicked to the side, but they did actually exist! 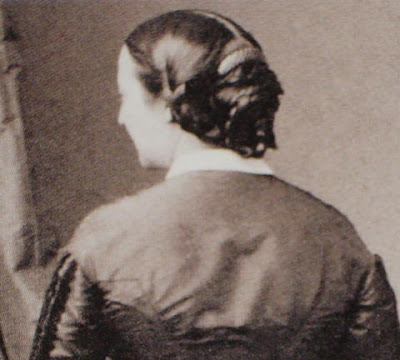 The "style" of the period was however, for the most part: a middle part and braids, buns or falls throughout the back.